I discussed this thing with many Bible scholars, evangelists and pastors, and everyone has their individual opinion. And in this post, I will be sharing my and their opinion about the Sons of God. As we all know that the Bible is a combination of books and it’s hard to understand, mainly the beginning portion of the Bible, Like Genesis and some other books. But Today I will be sharing my opinion and also the opinion of some of the scholars with whom I discussed the sons of God. More of the majority says that the Sons of God are referred to as the Angels of God who came down to the earth and had physical relation with the beautiful and chosen girls (who are known as the daughters of men). And Somewhere in my heart, I believe that this is the perfect theory for this because a Nephilim (means a giant) can be only born when two different breeds have a physical relation (Like a creature with some extraordinary powers have relation with a normal person). Third and the last Opinion about the Sons of God are the righteous people, you can say it was Seth or some of the other sons of Adam who married the Preadamite Men and Women which lead to the DNA corruption and Giants were the offsprings born from them. We know that Goliath was the Last Giant mentioned in the Bible. The above three opinions are different, and each view changes the theory of the Bible. The thinks revolve around the Cain, Eve and Adam. I can’t say from all the above three opinions which are correct, but I must say that God knows better. 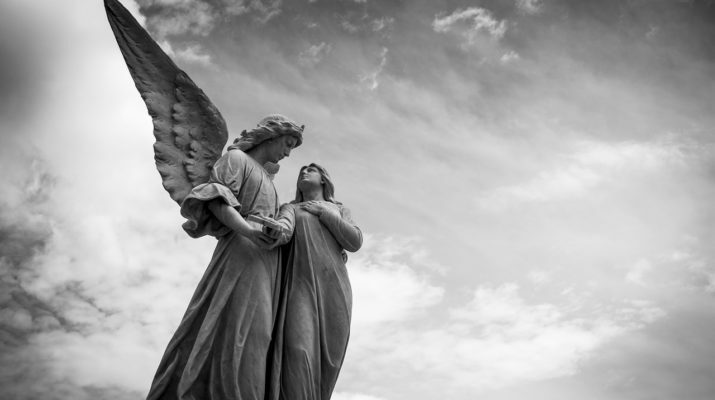 Why do I think that the Sons of God in the Bible are the Angels? As I mentioned that I believe in the first opinion. Because the verse itself proves that. Let me explain you the verse here. 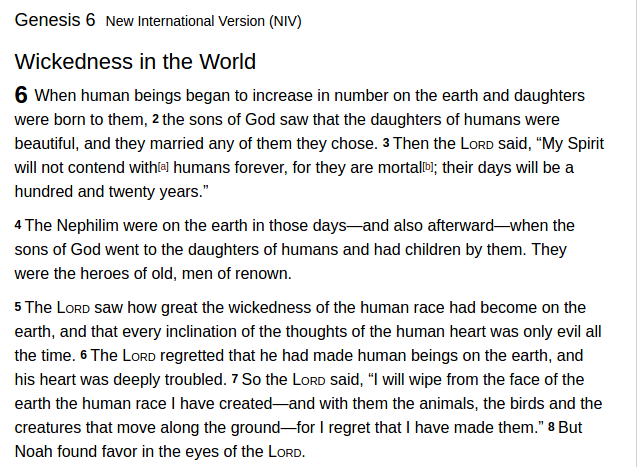 You can see in the (Genesis 6:2) “The sons of God saw the Daughters of Humans.” What I meant to say is that why this verse does not say that the Sons of Seth, or sons of humans or sons of Satan. The Bible clearly indicates that the Sons of God saw the daughters of humans and they were beautiful, and they choose and forcefully married them. And the Children born to them were like the heroes or possessed some special powers which they received from their ancestors (means Angels). Comparison between Angels and Titans. Did the Sons of God have the Physical relation with Humans Only? According to my Opinion, the Sons of God and the children of the Sons of God (Nephilim) born to them also had the physical relations with the other creatures of the World. The Lord in verse (Genesis 6:7) says “God regrets that why he created the human’s race and as well as the other creatures. I would love to add another point which will be helpful to you for sure that because when Lord asked the Noah to build the ship, he requested to have one pair of each of the living creatures which lived on the Earth and in the Sky. The only reason to destroy the whole world was that every creature on earth was defiled by the Sons of God and also by the Nephilim born to them. I can even give you the examples for the same you can see the mermaid, Ware wolves and other kinds of mythical creatures which are not actually mythical but used to exist during the time (When Noah was there). Giants according to the Bible. I am not claiming here anything but just sharing my views about it. If you have some other opinion about the sons of God or Liked this post, then please share your views through your comments.